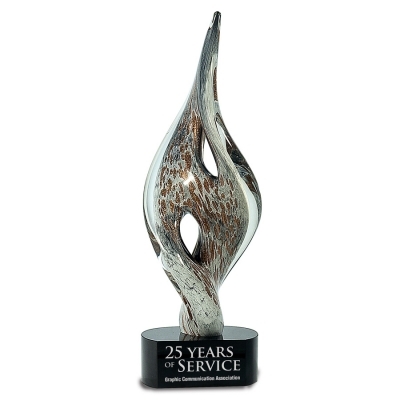 This towering 15" Spire Twist Art Glass award has a sleek, modern look and feel. The majestic black, white, bronze and gray colors infused in the glass are perfect for the CEO or Top Performer! A black plate with silver engraving is included for your text or logo.